For those of you that were looking for a MMUp post last Thursday, I decided to push this month’s schedule ahead a week because there are five Thursdays in October and this MashUp is a bit more complicated than some of the others so I wanted to dedicate some time to the specifics. That aside, I think you’re going to be super excited about this MMUp! 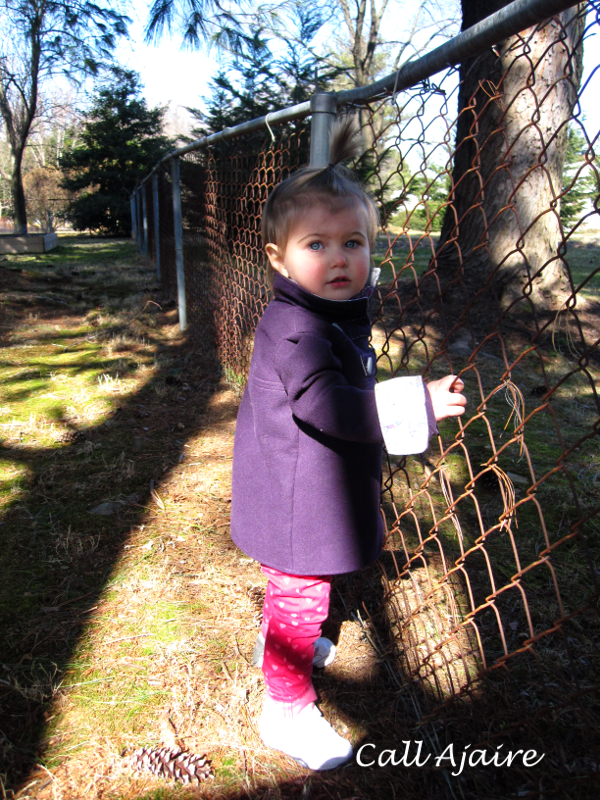 Also – spoiler alert – there are some seriously cute pictures of Bean from December 2012 that you won’t want to miss. 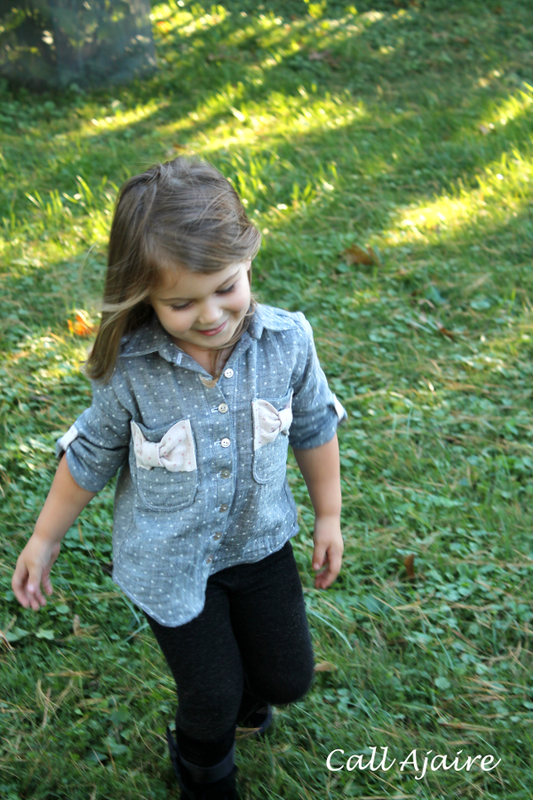 The Bookworm Button Up is a unisex button up shirt that has a load of great options. 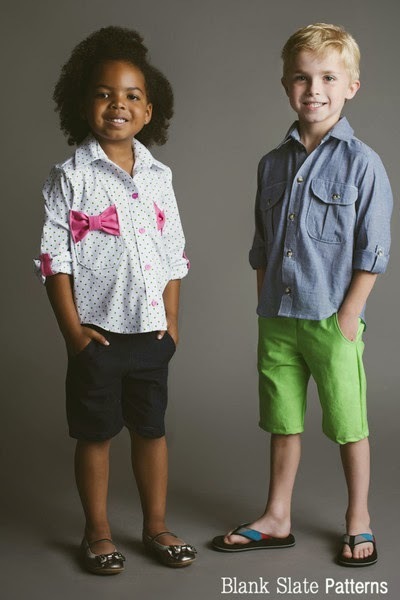 There are short or buttoned long sleeves with a button tab option for cuffing a longer sleeve, pleated or rectangle patch pockets, and shirttail or straight hem for the boy’s style. But the girl options are what sent me over the edge with this pattern. 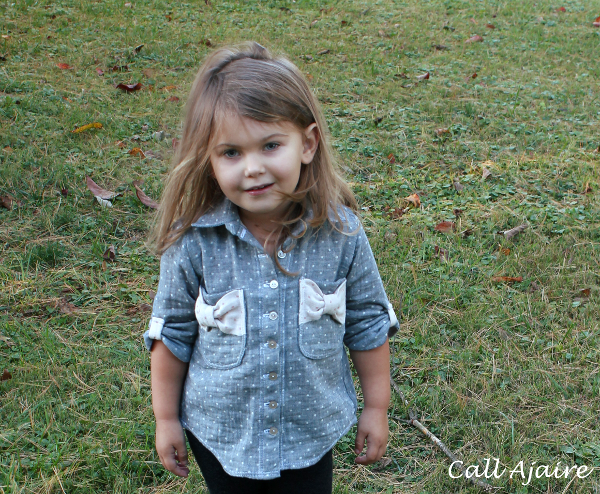 The bow pockets are a cute detail and really fun with an accent fabric. The bow sleeve option feels really original and is well designed. The snap tab that holds the sleeve when cuffed forms the center of a “bow” and really takes a great shirt to a higher level. The show stopper for me however, is the crossover back view. It’s so feminine and really transforms the traditional button down shirt. I think paired with jeans it’ll be so cute this fall. 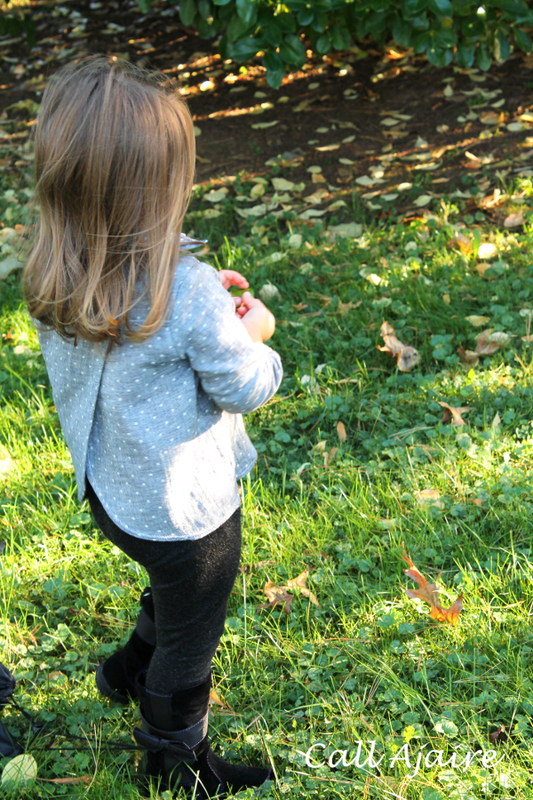 Bean insisted on wearing her leggings with it for these pics though. Three year olds, right? The pattern has sizes 18M to 8Years and like all the Blank Slate Patterns I’ve used, the instructions are clear with lots of picture details. I cut out a 3T for Bean who hit another big growth spurt the same week so I decided to use a 4T size for the MashUp. For reference the pictures in this post are 3T. The fabric is lovely polka dot double gauze from Imagine Gnats which is so soft and drapes wonderfully for this button up. They are reversible, but I used two colorways to get the pink and the navy. 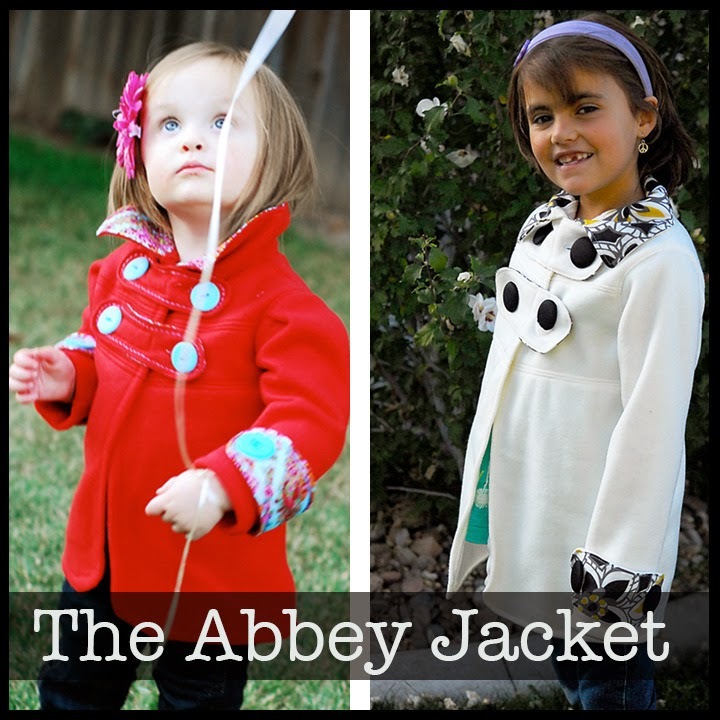 The Abbey Jacket is a favorite of mine. 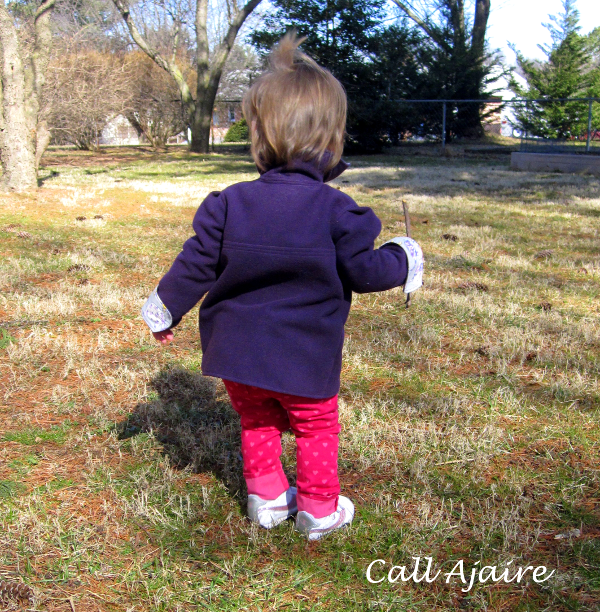 I made Bean a wool coat in the fall of 2012 using this pattern and she wore it all winter. At the time I didn’t know this tutorial existed so I just winged it, but Shauna has a great post about how to alter the pattern to make a cool wool coat. I made a fleece version of the Abbey in preparation for this MashUp, but I have yet to get any good pictures of it so for this post I’m using some ridiculous pics of baby Bean in her wool Abbey. 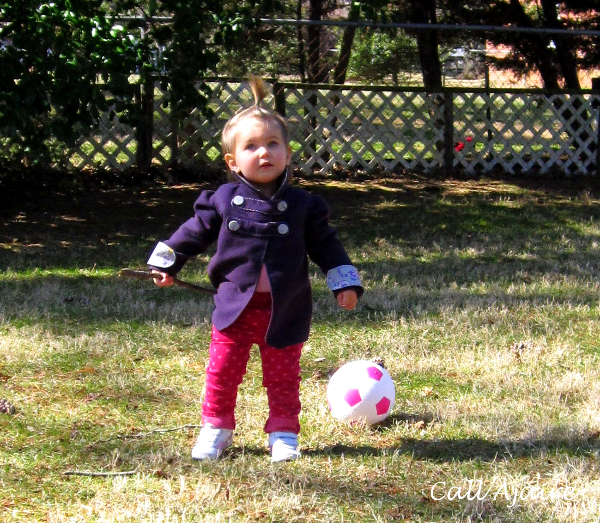 The Abbey Jacket is a swing style that is meant to be made out of fleece. The two button tabs hold the front together and add a fun military feel to the jacket. The big buttons on the tabs are a great way to feature a contrast fabric. 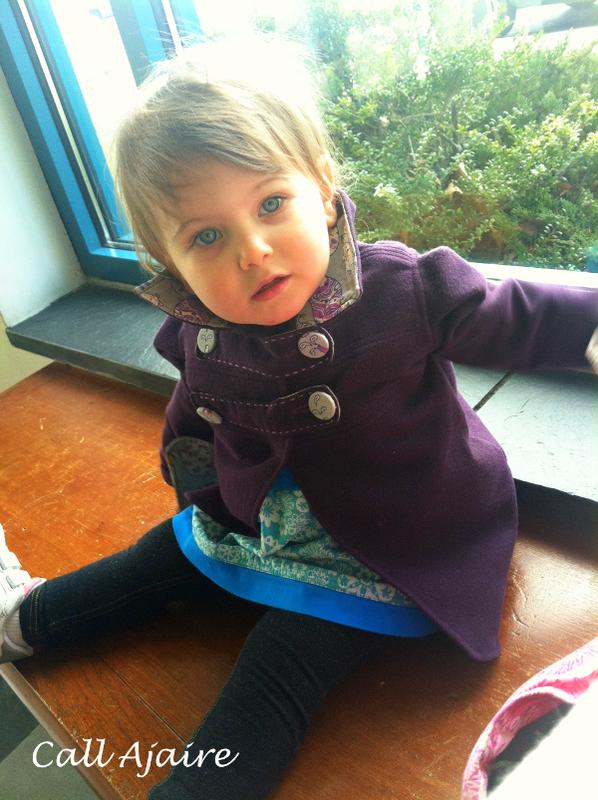 The sleeves have a contrast button cuff (from which she promptly removed the big buttons because she was 18 months old and tearing things off is fun) and a slight puff at the shoulder to add a bit of feminine flair. I love the tall contrast lined collar, but there is a shorter unlined option as well. The pattern comes together quickly – especially if you use fleece – so it’s a great “bang for your buck” sew. The sizes range from 12-18M to 10Years so we’ll be using it for quite some time. Keep an eye on Instagram and Facebook for some sneak peeks of Bean’s newest Abbey and the MMUp. Next Thursday I’ll reveal the MashUp and we’ll start the pattern alterations, but if you’d like to mash-a-long then first you’ll need the patterns. The Bookworm Button Up can be found here and the Abbey Jacket here. Enter the giveaway rafflecopter below for a chance to win both pdf patterns which have been generously donated by the designers. **the patterns for the giveaway have been generously donated, but all opinions are mine. For December I would like to see if 2 fancy and special dresses could be split into separates to wear together. What dress has a really special skirt that could be a skirt by itself? Oh my gosh cutie baby bean! Would love some holiday dresses! Baby Bean!!!!! So cute. And I was dying when I saw the crossover back. The fabric, the bows, the sleeves. It's just perfect!